Dan Gilroy’s directorial debut is a good one. With already a healthy amount of screenwriting experience (The Fall, Real Steel, and The Bourne Legacy) Gilroy decided to step behind the camera as well this time to deliver a nail-biting thriller with a creepy, creepy protagonist. 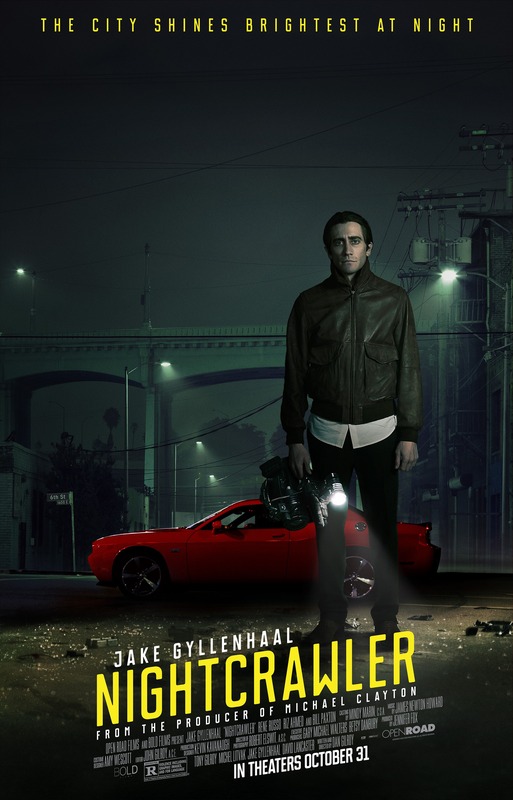 Nightcrawler (rated R) follows Lou Bloom (Jake Gyllenhaal), a thief and sociopath as he discovers the world of freelance news photography. These guys are similar to paparazzi but they are more interested in car crashes, house burglaries, murders. “If it bleeds, it leads,” Bill Paxton’s character Joe Loder tells him. Soon Bloom is caught up in the fast paced lifestyle and realizes he’s actually pretty good at it. But that’s because he doesn’t have a conscious. When I first heard of Birdman (rated R) I thought it was a great vehicle for Michael Keaton. It seemed to reflect his own life of a great actor who was mostly remembered for playing a superhero. When I saw that it was co-written and directed by Alejandra González Iñárritu, I thought it didn’t sound like his type of movie at all. It seemed more like a comedy and Iñárritu’s films tend to be heavy. Super heavy. Remember Biutiful? Yeah. Heavy. I remember seeing a behind-the-scenes picture of Birdman. Michael Keaton was standing on the street in a trench coat with a man dressed in a superhero bird costume standing behind him. It looked… well, kinda silly. 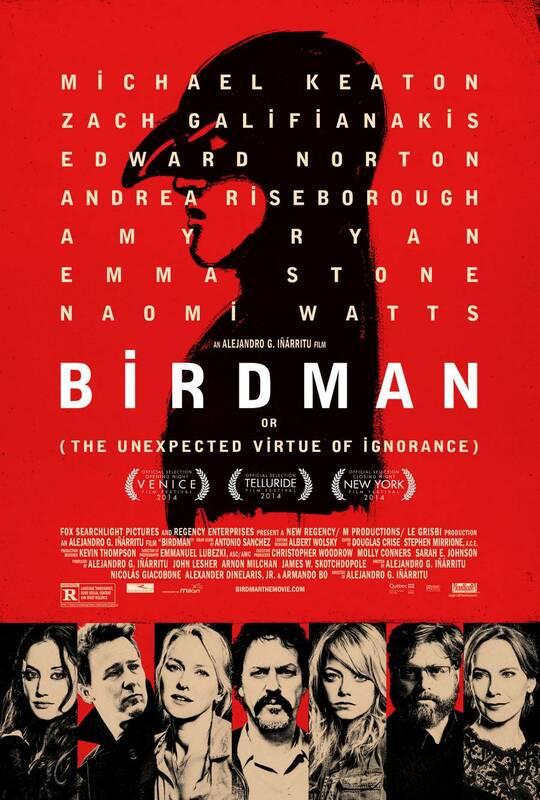 That just goes to show you can’t judge a movie based on it’s behind-the-scenes photo because Birdman isn’t silly. It’s a well acted, well crafted film that is sure to see some nominations come awards time.